Sales conversations are a tricky thing. Each word exchanged can bring a buyer closer to to signing the deal or push them farther away. A simple phrase can either trigger a fear your prospects have or calm a concern they’re stuck on. For that reason, it’s likely your sales team members are constantly concerned with the art of conversation, and will do everything at reach to become better at it. They’ll wonder: Did my prospect feel listened to? Did I acknowledge their objections and use positive information to neutralize them? How did they talk about competition? 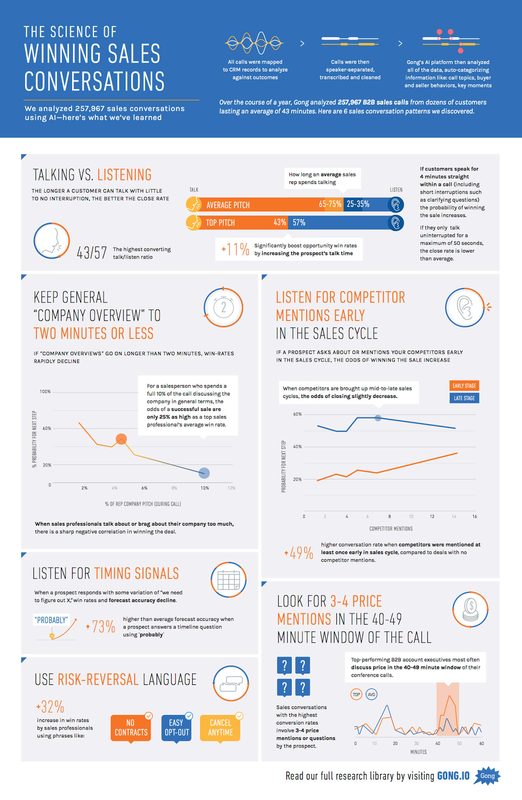 These are some of the questions sales reps probably ask themselves at the end of each call. But that's also a lot of guesswork — even if backed by long-time experience. In the end, unless you’re doing sales call post mortems regularly, nothing is really being measured. That’s finally changing. Thanks to artificial intelligence, it has become possible to measure and analyze many things, including sales conversations. That's what Gong.io self-learning conversation analytics engine does. It records, speaker-separates, transcribes and analyzes sales calls. Guido is a Demand Generation Marketer for New Breed. He specializes in running in-depth demand generation programs internally while assisting account managers in running them for our clients.